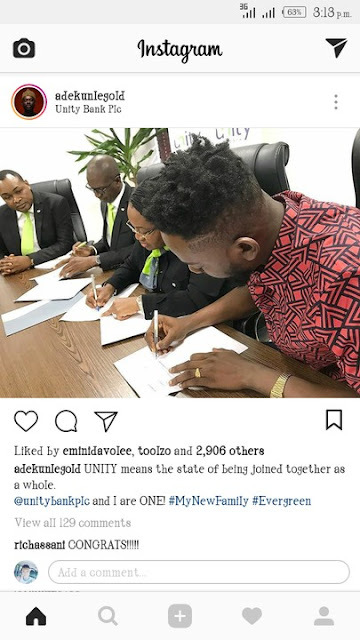 Nigeria Singer, Adekunle Gold started off the new year on a good note as he bags an endorsement deal with Unity Bank Plc. “UNITY means the state of being joined together as a whole. This new deal will be the urban High-life singer first major deal in 2018, and most likely the first of many. 0 Response to "Adekunle Gold Signs Endorsement Deal With Unity Bank (Photos)"